A landing page is a web-page to which people come after clicking on ads .It’s basic purpose is to convince the visitor that they need the product you are selling and make them, click on the call to action. A landing page is quite different from a product webpage as the product webpage contains information about all the products you offer while a landing page is usually made for a particular product and offers a particular deal/discount on the product. In general, a good landing page needs to talk about the product’s benefit rather than its features and needs to load quickly and work on multiple platforms along with having the convincing power to make the potential customer click on the call to action button. Why is it important to have a convincing landing page? Once a person comes to your landing page after clicking on an ad, you need to capture the person’s attention quickly and effectively. Your landing page should be simple yet attractive to look and must have a call to action. It must focus more on outlining the benefits of the product rather than pointing out its features so that the visitor click on the call to action button. There should be balance between graphics and text, the graphics should not deviate the visitor’s attention from the call to action button. As the name suggests a landing page consists of a single page and may contain different sections but it must precise and to the point and not bore the visitor. Headings, subheadings and images should lay emphasis on the message that you want your visitor to see. Text content is not as powerful as headings,subheadings and images when it comes to creating an image in the mind of the visitor about the product you’re selling. Sending the landing page link to subscribers as part of email marketing. Running paid/unpaid campaigns on social networking sites and/or google. Creating a PPC ad campaign on different search engines and linking them to the landing page. Using SEO in a way the landing page can be found easily with an organic search. Create Landing Pages that are created to have a high conversion rate. Redesign old Landing pages and make their conversion rates grow higher. Write engaging copy and content for landing pages that convinces the visitor. Design graphics and text layout for web pages. 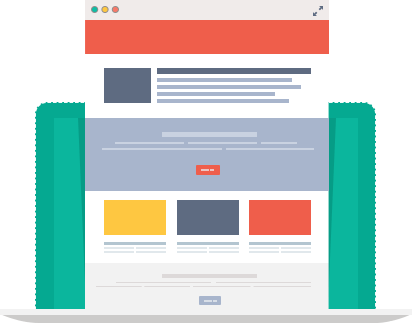 Optimize landing pages so that they can load on different web browsers and operating systems quickly.